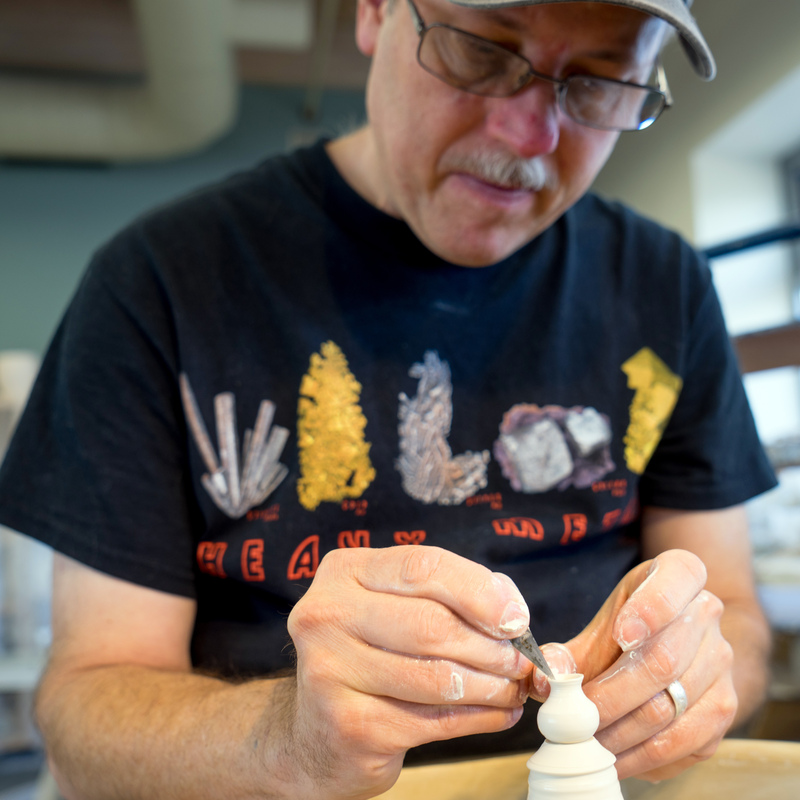 Troy is self-taught in the art of miniature pottery, having learned through practice and experimentation. He began creating wheel-thrown pottery in one-inch-scale in 1993 (after he had already learned to make full-size pottery). Today he continues to create high quality replicas of historic ceramics as well as modern art for discerning collectors in diminutive yet delightful sizes. His primary goal is to create true to scale pottery that is aesthetically pleasing as well as “functional”: walls of even thickness, trimmed foot ring, open spouts, removable lids — the same qualities he seeks in a large pot. 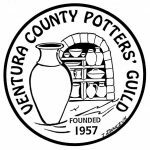 In addition to making scale miniature pottery Troy also makes ‘life-sized’ pottery and has taught ceramics in Santa Barbara since 1997 in UCSB’s Gaucho Rec Potter program with Dane Venaas. Troy throws his miniatures on a full size potter’s wheel; none of them are cast or mass-produced by molds. The potter’s wheel that he uses is the same wheel that he has used to make 50 pound bowls. The process of throwing miniatures is very much the same as throwing life-sized pottery except Troy contacts the clay with his finger tips rather than his entire hand and all of the motion of his finger tips is contained within a volume not much greater that one cubic inch. This reservation of movement calls for a great deal of focus and patience. Over the years Troy has developed special tools and techniques to use in place of his fingers to draw up, open and shape vessels on the top of a hump of clay as well as methods of shaping and altering my pots once they are thrown. After forming his miniatures on a revolving mound of clay, they are allowed to dry until they can keep their form and then they are re-centered upside-down on the wheel and a foot ring is carved on the bottom; like their life-size counterparts — this attention to detail completes the piece. Troy is a member of the International Guild of Miniature Artisans and was elevated to Fellow status in 1999. Today Troy’s miniatures are in collections around the world and have been featured in many magazines in the U.S. and Europe including Nutshell News, Dollhouse Miniatures, Miniature Collector, Dolls House World, Artisans In Miniature (AIM) Magazine, and Miniaturas. Troy says that though he divides his time between making miniatures as well as life-size pottery, it is his miniatures that are more difficult to make, require his absolute attention, test his patience and are unequivocally the most rewarding and fulfilling thing he creates as an artist.